Blowout Sale! 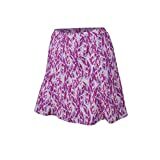 Up to 78% off on Active Skorts at Felicianeo. Top brands include Haute Shot Golf, Daily Sports, Toomett, Reel Legends, IN'VOLAND, PGA TOUR, Monterey Club, adidas, Sobrisah, Cypress Club, granate, Augusta Sportswear, GRAND SLAM Tennis, HEAD, Bolle, NIKE, & Jessie Kidden. Hurry! Limited time offers. Offers valid only while supplies last. 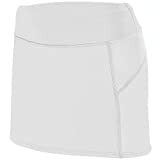 Haute Shot Micro-Poly Skort for Travel, Everyday, Golf, ect, Slimming fit, Breathable Comfort.